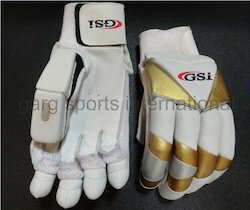 GSI cricket offers right batting gloves for a player to play smoothly. Comfort is very important for any cricketer. 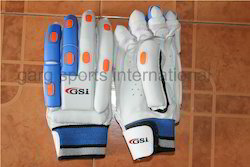 Our range of cricket batting gloves are manufactured to keep it above all. 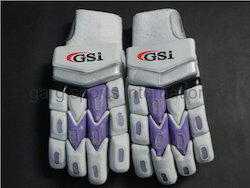 GSI makes best cricket gear that are comfortable, durable and protects player. 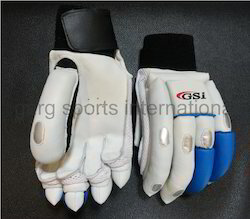 These cricket gears include Cricket batting gloves also. 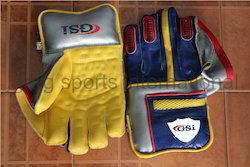 GSI Cricket equipments are known for production of finest quality products in Indian market. 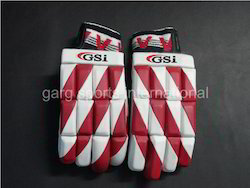 GSI Cricket equipments include English willow cricket bats, Kashmir willow cricket bats, cricket gloves, cricket batting pads, cricket helmets and tennis ball. 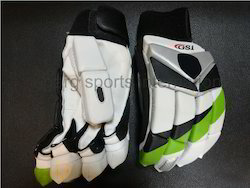 We have a range of cricket apparels to support team in ground, which includes cricket uniforms, cricket cap and cricket hat. 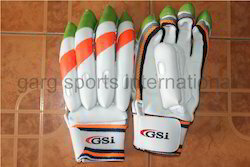 GSI has an exclusive range of indoor cricket equipments that is cricket plastic bat, tennis cricket bat, stumps and balls. Customize your bats with bat stickers. We are dealing in the bulk quantity. Ideal For Men, boy and youth. 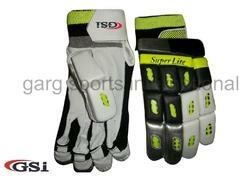 Our clients can avail from us an eminent range of Champ Batting Gloves. These products are developed at our state-of-the-art manufacturing facility using high-grade material. All our products are appreciated for their comfortably and lightweight. 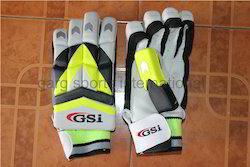 Moreover, we offer these products to clients in variegated specifications. 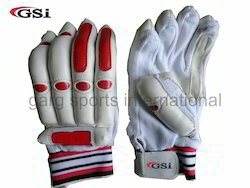 We are involved in manufacturing, supplying and exporting a broad spectrum of Batting Gloves. Our experienced and qualified professionals manufacture these products using excellent quality material that is sourced from vendors of high repute. Latest machines are employed in the manufacturing process following industry standards & norms. 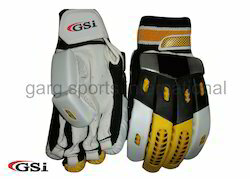 Design Sponge padded polyurethane for comfort fit & High density foam for finger rolls. Weight Lightweight & proper ventilation. 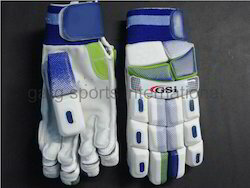 We are widely acknowledged in the market for manufacturing, supplying and exporting high-quality Pro Batting Gloves. The range offered by us is manufactured using optimum-grade material following industry norms and standards. To cater to the diverse requirements of customers, we offer our product-line in variegated specifications at market-leading prices. Ideal For Men,youth and boy. Closure Towel wristband and Loop fastener. Ideal For Youth,Adult and Boy. Closure Type Towel wristband and Loop fastener. 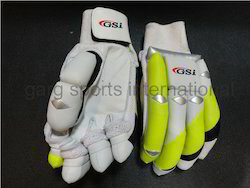 Owing to our expertise in this field, our firm is engaged in supplying an extensive array of Cricket Batting Gloves. 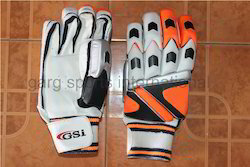 Material Made up of PVC or PU. 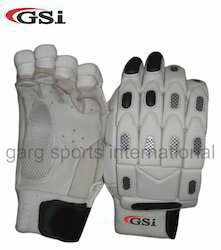 We have attained huge acceptance in the market by manufacturing and supplying Cricket Batting Pads or Leg Guard. 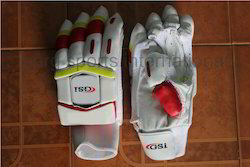 Our offered pads are highly durable and provide effective protection against the high impact of the ball on the legs for a prolonged period of time. Due to their procurement from a renowned vendor, these guards possess excellent durability and modern design texture traits. 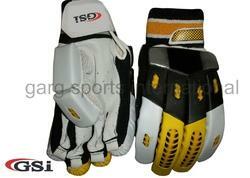 We make the prompt supply of these products to customers in various preferences as per their requirements. 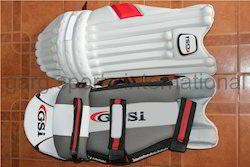 GSI, Batting Tee is a practical cricket batting tee, ideal for practicing defensive and attacking front foot shots. Ideal for introducing children to perfect swing practice of bat or baseball bat.